Ian & Nina [TVD Behind the Scenes]. 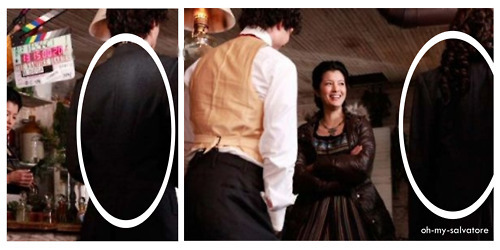 TVD Season 1 Ian gives Nina his giacca :). Wallpaper and background images in the Ian Somerhalder e Nina Dobrev club tagged: ian somerhalder nina dobrev the vampire diaries.